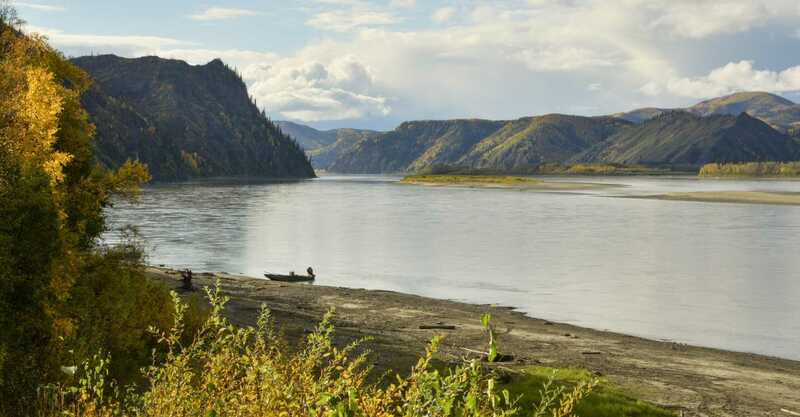 Explore Fairbanks proactively encourages visitors to enjoy Alaska’s vast outdoors while caring about the footprint that guests are leaving on the land. The Alaska Travel Industry Association announced on January 26, 2018, that Explore Fairbanks earned certification by Adventure Green Alaska. Since 2009, AGA has recognized and promoted model Alaska tourism businesses who practice economic, environmental, social and cultural sustainability. According to the AGA website, “Businesses and organizations certified by AGA are leaders in the tourism industry. They are progressive companies that believe outstanding Alaska experiences can also be sustainable and of benefit to visitors and hosts alike.” Explore Fairbanks is the first destination in Alaska to be awarded the AGA certification. Explore Fairbanks’ foundation is built on our values, which distinguish us and guide our actions. We conduct our business in a socially responsible and ethical manner. We respect the law, support universal human rights, protect the environment and benefit the communities where we work. Objective 1: To develop and implement the continuation of the Arctic Winter Games Legacy Recycling Project. Objective 2: To implement best practices in our headquarters, the Morris Thompson Cultural and Visitors Center. Objective 3: In the pursuance of the convention center and/or performing arts center project, ensure best practices for sustainability. Objective 4: As the basecamp for Arctic tourism in the United States, participate in proactive dialogue around best practices in tourism development in the Arctic. Objective 5: Improve air quality in the community. Objective 6: Regular communications with stakeholders, meeting planners and the general public on the above activities. Combine Fairbanks’ remote location, small population base and limited manufacturing then you have a roster of challenging – but not insurmountable – obstacles to recycling. Despite these challenges, the community is committed to recycling. After years of having a variety of non-profit and private-sector organizations provide a patchwork of recycling options, a major step forward in the community was the opening of the Fairbanks North Star Borough&apos;s Central Recycling Facility on September 1, 2017. The facility is contractually operated by the Fairbanks Rescue Mission whose Green Collar Jobs Program uses the Borough&apos;s Central Recycling Facility as a vehicle for jobs-training and career counseling for the mission’s residents. The principal goal of the Green Collar Jobs Program is to help the community&apos;s homeless and disadvantaged gain job skills and career counseling. For more information on the Fairbanks Rescue Mission Green Collar Jobs Program, click here. For more information on the FNSB Central Recycling Center, click here. The community of Fairbanks won the bid to host the Arctic Winter Games in March 2014. As the planning process by the Fairbanks Host Society accelerated in 2013, Explore Fairbanks President and CEO came forward to volunteer as the Environmental Committee Chair. The committee was charged with developing and executing a recycling plan for the games. In addition, Explore Fairbanks requested that AWG funds be used to establish a Legacy Recycling Project. During the week of the games, hundreds of “Green Team” volunteers collected 8,156 pounds of plastic, aluminum and paper and 3,300 in organics for a total of 11,456 pounds of recyclables. Many individual volunteers took care to educate other volunteers and guests as well as diligently sort through the recyclables on site. Volunteer groups also pitched in for the recycling effort, including Adult Learning Programs of Alaska and North Pole High School Junior Reserve Officers Training Corps. With the leadership of Explore Fairbanks, the Environmental Committee volunteers consisted of individuals committed to recycling with representatives from Alaska Waste, Fairbanks North Star Borough Parks and Recreation, Fairbanks Rescue Mission, Interior Alaska Green Star, as well as AWG staff, especially General Manager of the Host Society Karen Lane. The Environmental Committee through the assistance of Interior Green Star educated those organizations and businesses on the other costs associated with recycling - such as sorting and collection, the resources available for recycling hauling/drop-off and disposal - so that they can make an informed decision on recycling at their facility. Explore Fairbanks teamed up with Interior Alaska Green Star to produce an educational video that featured the spokesperson for the corporate sponsor Kinross Gold Corporation-Fort Knox Mine as well as the AWG mascot Raavee. The Environmental Committee went beyond the mandate to recycle at the Arctic Winter Games venues by establishing a Legacy Recycling Project. The intent of the Legacy Project was to use the games in Fairbanks as the impetus to encourage more public-oriented sites – government, non-profit and public sectors – to offer recycling to their clients. A community brand for recycling was developed to affix to the bins. With monetary contributions from Kinross Gold Corporation-Fort Knox Mine and the Fairbanks North Star Borough Recycling Commission, AWG purchased 26 three-bin indoor units and 18 two-bin outdoor units for a total of 44 recycling bin units for use during the games. 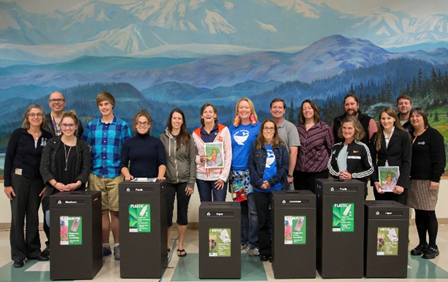 As part of the Legacy Project, the 2014 Arctic Winter Games (AWG) Host Society awarded recycling bins to six schools within the Fairbanks North Star Borough School District at an evening reception on Wednesday, September 17, 2014 at Pioneer Park in Fairbanks. These 44 bins were then permanently located at facilities owned by the Fairbanks North Star Borough, such as Pioneer Park, Birch Hill Ski Area, and area schools, as well as non-profit organizations open to the public, such as downtown-based Project Fairbanks and the Morris Thompson Cultural and Visitors Center. As part of the purchase, one private-sector business – Hampton Inn and Suites – bought two three-bin units for use at the hotel. The original video was updated and reworked for the Legacy Project to contain recycling tips as well. The purpose of Phase Two of the project was to reward organizations who show a commitment to recycling in the community as well as to foster a community brand for recycling. Among the recipients were: five schools, six government agencies as well as eight non-profits, Breast Cancer Detection Center, Brice Family Center, Center for Nonviolent Living, Fairbanks Children&apos;s Museum, Fairbanks Youth Advocates, Goldstream Valley Lions, North Alaska Environmental Center, and Stone Soup Café. 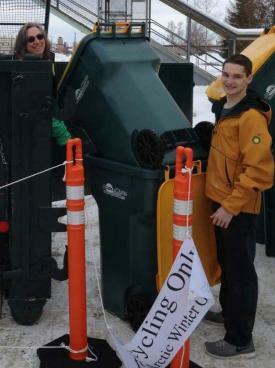 The purchase and distribution of these bins were made possible through sponsorships from the Fairbanks North Star Borough Recycling Commission, Arctic Winter Games Fairbanks Host Society and Kinross Gold Corporation-Fort Knox Mine. In-kind donations were from by Carlile Transportation Systems, Totem Ocean Trailer Express and Alaska Waste. 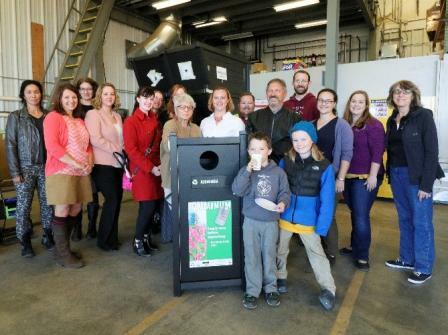 As Phase Two of the Recycling Bin Legacy Project from the 2014 Arctic Winter Games, representatives from the more than 20 schools, non-profit organizations and governmental agencies were awarded complimentary bins during a reception on Wednesday, October 12, 2016 at Alaska Waste, Fairbanks. Volunteers who worked on the project were Jason Avery, Fairbanks North Star Borough Parks and Recreation’s Pioneer Park; Becca Brado, Green Star of Interior Alaska; and Karen Lane, former General Manager of the AWG Fairbanks Host Society. In addition, four private-sector tourism businesses purchased the community-branded bins for use at their own facilities. They were: Westmark Hotel & Convention Center, Princess Riverside Lodge, Northern Alaska Tour Company (Kathy Hedges) and A Taste of Alaska Lodge. Explore Fairbanks President and CEO continued coordination throughout this phase. A game changer in the recycling efforts in Fairbanks was on September 1, 2017 when the Fairbanks North Star Borough opened its Central Recycling Facility. The facility building is leased from the University of Alaska Fairbanks. The Fairbanks Rescue Mission is contracted to operate the facility through its Green Collar Jobs Program. As part of Phase Two of the AWG Legacy Recycling Project, 36 bins are in storage at Alaska Waste for future use at the Fairbanks International Airport. They are stored until the recycling center is geared to handle higher volumes of recycling. Explore Fairbanks CEO continues to coordinate the ad hoc AWG Legacy Recycling Committee whose efforts are now concentrating on Phase Three: finding a local business to manufacture the recycling bins. This was attempted in 2013 without success. To date, the bins have been purchased from CleanRiver based in Aurora, British Columbia, Canada. CleanRiver’s recycling bins are made with environmentally responsible materials that contain the highest possible percentage of recycled content available. Finding a local manufacturer would make the process more environmentally sustainable.